Our very first Video Development Log was posted on our Youtube Channel! In our first Devlog, we are talking about how both Ascanio Entertainment and Crash Force, were created, as well as, details on our team’s background. Enjoy! Our second Video Development Log was posted on our Youtube Channel! 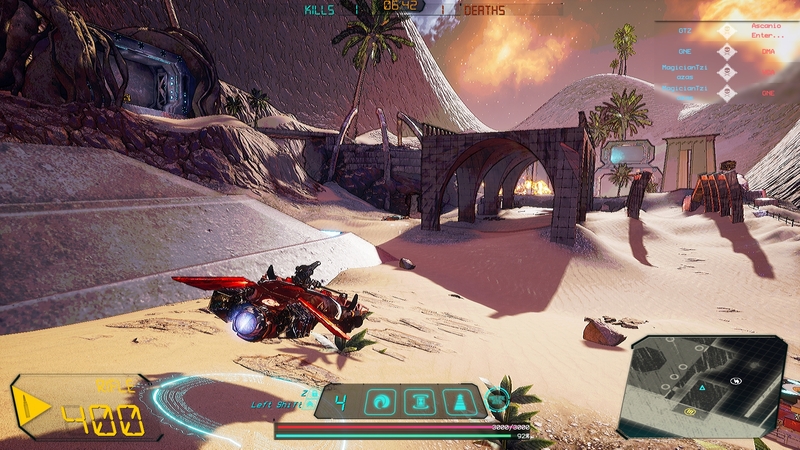 In our second Devlog, we are discussing the development aspect of Crash Force for both PC (Steam) and Xbox One. Enjoy! -Changed music in all maps. 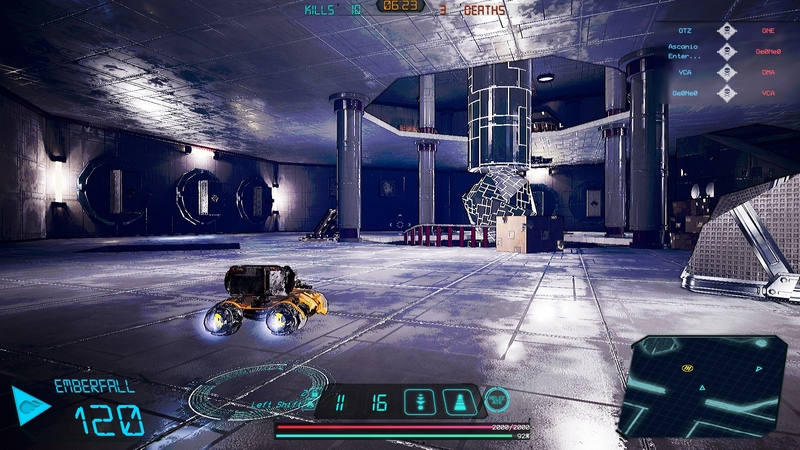 -Game is now even more fast-paced with smaller ability cooldowns, smaller ability durations, no second step activations, more base damage, more base speed and more base health regeneration. All of the stats and abilities stats are now reflective of the live stats on our Wiki! -Bots will now take the level of the lowest player in game (+/-3). Bots will use abilities only if their level is bigger than 1 and a percentage of boost will be given to them, affecting weapon damage, weapon Rate of Fire, Health and Speed, based on their level (max level 90 = 4.5%). -New hovering animation in Craft Gallery. -Fixed an issue where sometimes entering the tutorial would crash the game. -Fixed an issue where the match end card would show points earned from previous matches. Brand new Patch with a lot of new features, changes and bug fixes. Let's get right to them! We felt that while we received a lot of positive feedback for our previous in-game HUD, it could be improved or even redone completely. We took it upon ourselves to form a UI that was both good looking visually but also user-friendly and at the same time incorporating all the suggestions and feedback we had received from the previous one. Energy and Health are now relocated on the bottom left corner of the HUD and received glow effects. 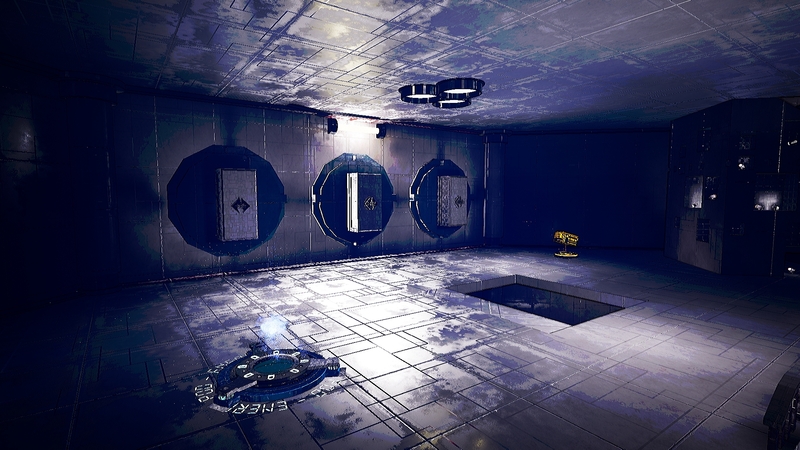 The mini-map has been redesigned while we improved your hovercraft’s and enemies’ hovercraft’s positioning. The abilities tab has been moved to the bottom right of the screen. The icons have received a visual update and we also have added a glow effect depending on, if the ability is on cooldown, being used at the time and when it is off cooldown. We moved the timer of each ability to the left of each icon and created a progress bar to show how much time left of that ability remains. We have also updated the Main Menu UI, with bigger buttons, clickier than ever, clearer texts and visual feedback. We are so happy to present you Cicuma Pulsatrix. In fact we were so hyped ourselves that we started a Rave Party!! Cicuma Pulsatrix is the medium-sized hovercraft from the Cicuma family. 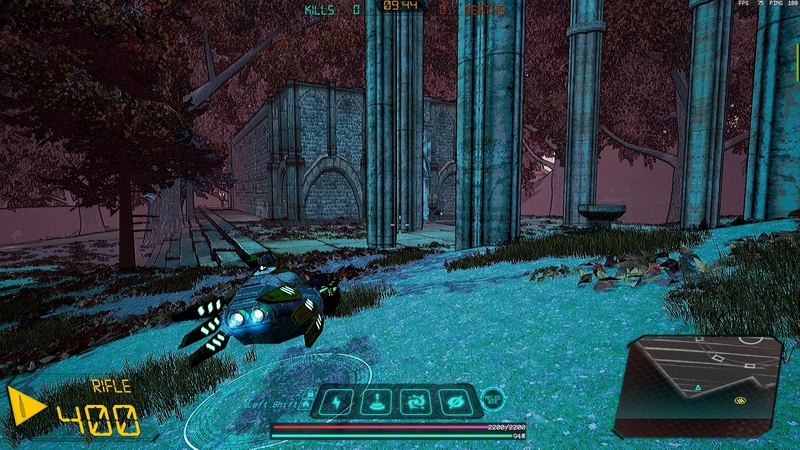 Pulsatrix is an all-purpose hovercraft with well-rounded properties but excels in Velocity and Skirmishing. Rocket Hail: Pulsatrix casts a rain of rockets that fall upon a targeted area damaging all enemies inside. Flash Bang: Pulsatrix overload all nearby enemies visual feedback blinding them for a period of time. Cicuma Puppeteer: Pulsatrix creates exact replicas of its own body at random locations in an area around it. 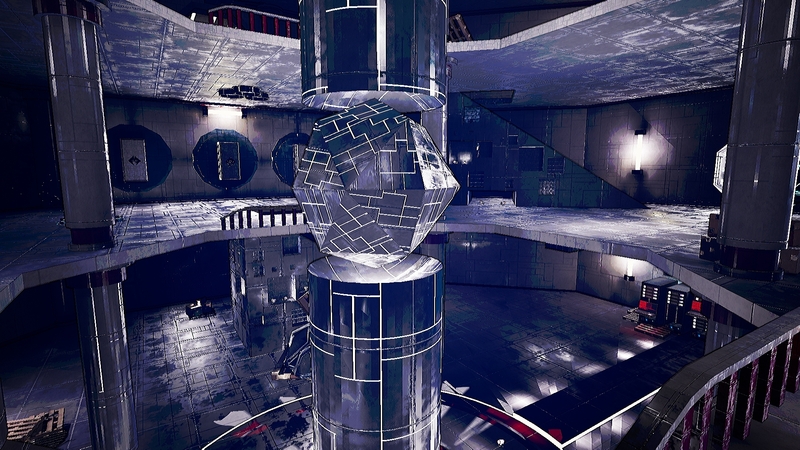 Cicuma Blend: Pulsatrix camouflages itself and blends in with the environment utilizing the nanites of its body. We are very happy to announce that we have made available our third Game Mode called “Capture the Capacitor”. 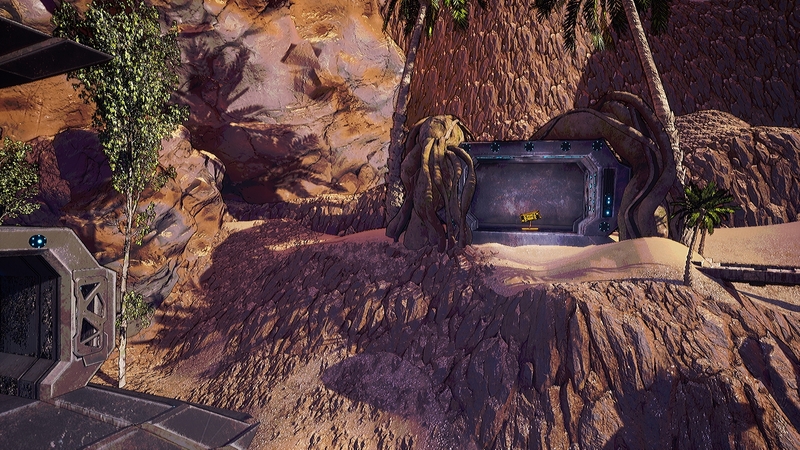 Capture the Capacitor is a Capture the Flag game mode, that was adjusted to fit the playstyle, gameplay and sci-fi theme of Crash Force.There are two Teams on this map, that need to protect their own Capacitor (marked as blue) and capture the opposing team’s Capacitor (marked as red) and bring it back to their base without dropping it to score a point. The team that scores three Capacitors points wins the game. The player that acquires a Capacitor is unable to cast abilities but can still maneuver, attack and dash to any direction to escape death. When an opposing team member kills the Capacitor carrier, the Capacitor is dropped to the ground. A member of the same Capacitor team as the carrier can then pick up that Capacitor and finish the job, or a member of the opposing team can pick up the Capacitor and immediately return the Capacitor to its base. We are looking for ideas, suggestions, and feedback on our new game mode! While Capture the Flag is a well-known game mode, we are open to suggestions, to improve the feel, uniqueness, and difficulty of it. We are very excited to finally release Shooting Range. Entering in a match while the match was already in progress will now let you choose a hovercraft before spawning. We think this addition will help people to join in progress games without fearing on which hovercraft they would get when they spawned mid game. Note that when you enter a game mid-way your score will be reset. Meaning that if you leave an in-progress game and then try to re-enter that match so you can choose a different hovercraft will reset your score. In addition, creating a match without any other players will close after you quit the game. 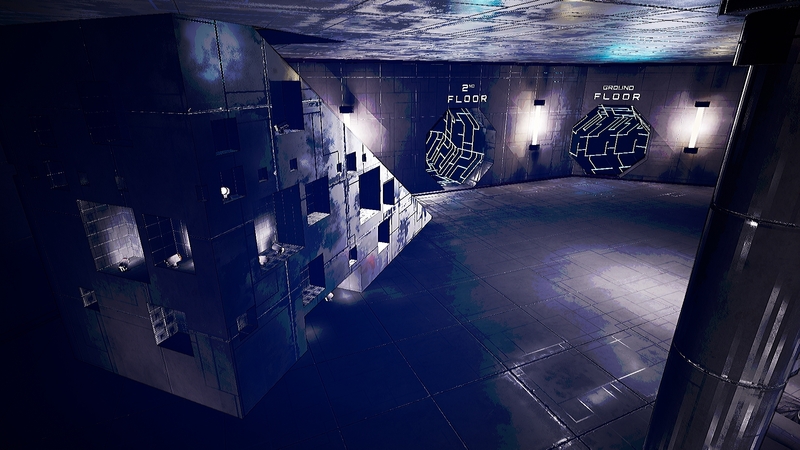 The following picture was taken in Shooting Range but nonetheless, it is quite similar in other Game Modes and maps. Our testers wanted a buddy invite system, where they could invite their Steam friends to play Crash Force with them and therefore we created the Buddy System. In order to invite a friend to a party in Crash Force, you have to already be friends on Steam and also that friend needs to have Crash Force in his/her Steam library and installed on his/her PC. The next step is for you and your friend/s to login into Crash Force and hit Quick Play. When you enter the Quick Play area, you will be able to see all your Steam friends that own Crash Force in separate lists depending if they are Online or Offline. If none of your friends are online then you can skip and queue up solo. By clicking on the plus (+) button next to each buddy you will invite him/her to your party (and therefore be the Party Leader of the party). Your friends will then be prompted by a pop-up on the bottom right of the screen to accept or decline your invitation (Fair warning: refrain from Declining Invitations at the moment as they seem to bug out the system, instead accept the invitation and then leave the party. We are working on a patch to fix this issue). After every one of your buddies are in the same party, the Party Leader can then can queue up for the desire Game Mode. In the next screen, we are showing the perspective of the Party leader, where the player can kick a party member by clicking the "X" button next to party member. The Party Leader can also disperse the party, by clicking the ":Disperse Party" button on the bottom left of the screen. Party members can exit the party, by clicking on the Exit button on the bottom left corner of the screen (where "Disperse Party" button is now). When the Party leader queues up for a Game Mode, only the Party leader can stop the queue timer. When the queue timer ends, the party members will move to the lobby screen and either be on the same team (for Team Showdown and Capture The Capacitor) or in the same Lobby but oppose each other (in One Man Wolfpack). You can opt out of the Lobby by clicking the "Leave Game" button on the bottom of the Lobby screen. When the match ends, you will automatically be allocated to the next lobby to fight against other players or bots, in the same or opposing team depending on which game mode you have selected. If by mistake, your Party Leader chose the wrong Game Mode, you can all leave the lobby, your party will be disbanded. You can create the party in the same procedure as described above and queue for the desired Game Mode. -Fixed an issue where equipped paints would not show up in menu. -Fixed an issue where the match end card would show bogus loot box earnings. -Fixed an issue where maps would not rotate. -Fixed an issue with collisions in the tutorial. -Clava Diphylla's Berserk New fx. -Clava Acadica's Cicuma Shift new fx. Creating the Loot Boxes in Crash Force. Our very own CG Generalist, Claudia worked on the concept and creation of our shiny new Loot boxes, that were introduced in Patch v.1.5.3105. The first task was to create a concept of the Loot box. We took inspiration from loot boxes in Overwatch, CS:GO and various mobile game loot boxes. Each Lootbox has its unique material that complements its value, and uniquely emissive colored accessories. Overall, the entire process of modeling, rigging and texturing process, required a day or two for each loot box to be completed. 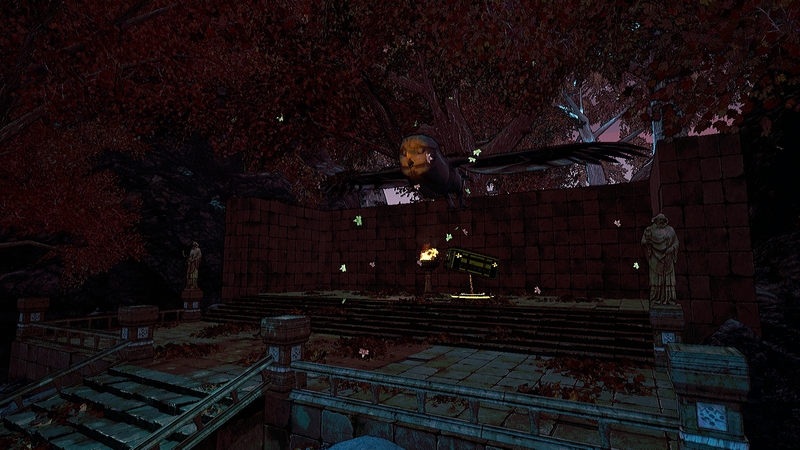 Fixed some issues with map collisions. Fixed an issue where Victories were not being given. Fixed in-game Steam achievements awarding. Fixed Team Showdown countdown issue. Fixed an issue where max level players would not travel to the next map. Changed how Clava Diphylla's first ability is cast (more accurate). Added ally/enemy(blue/red) outlines on hovercrafts for better visibility. Changed how Aquila Wormhole is used (You can now go through walls!!!). Tutorial Revisited (Still in Progress). You can now open your earned lootboxes in the profile overview tab. Since our latest patch (v.1.4.2883) we have introduced a new shader to Crash Force. 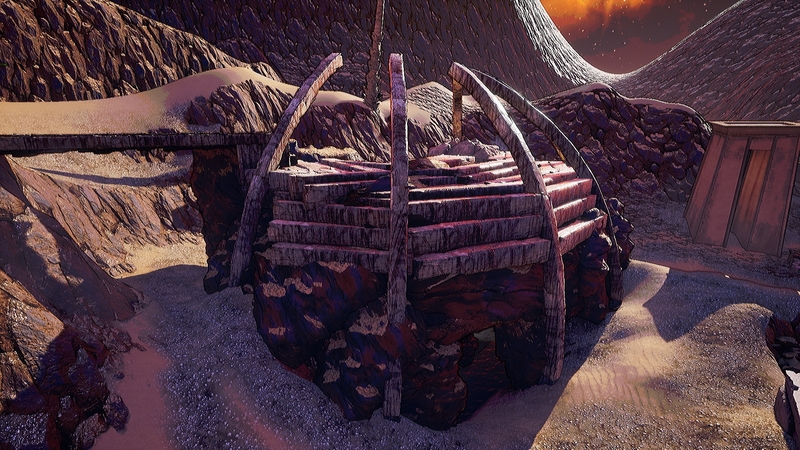 This shader is applied by implementing in UE4, a post effect to both the Camera and as a Post Process Volume. The Sobel Effect of the Edge Detection and the RGB decolouration are implemented on the Volumes throughout the maps. 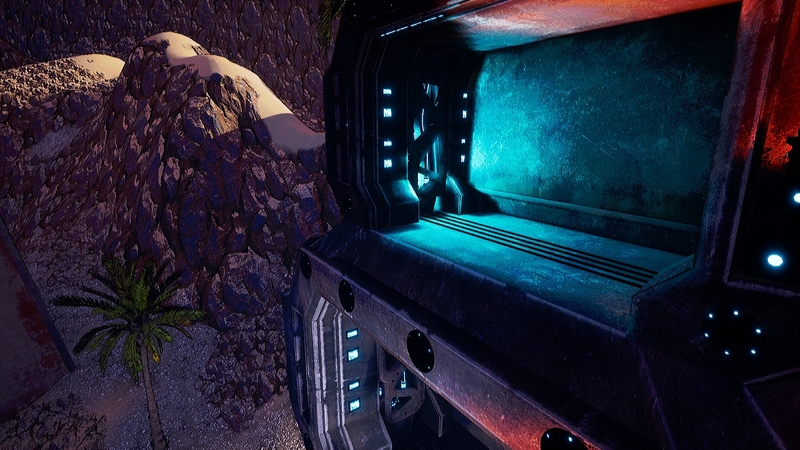 The Grain FX and the rest of the lens artefacts have been implemented directly on the players' cameras. We chose to allocate the lens effect on the camera so we could keep things tidy. Overall, we think that this art direction really benefits Crash Force and gives it a futuristic sci-fi approach, and at the same time solves the issue of low brightness in specific areas of our maps and pops out the detail of both the hovercrafts and map. Fixed an issue where sometimes the lobby counter would reach 0 but the server would not travel to the next map. Fixed an issue where the skill trees would not apply until respawned once. Steam achievements are being awarded when logging in as a workaround until in-game awarding is fixed. Changed the camera location (slightly to the right), for a clearer view and aiming (an option to change between sides or set the camera to the middle is coming in a later patch). Added 2 more bots(Myotis, Acadica). 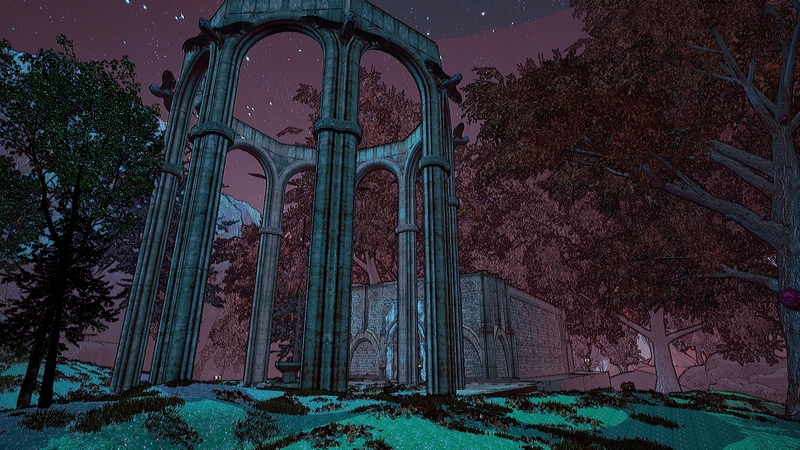 Introduced a new shader to enhance the Environments' vibrance and general visibility. Overall artistic fidelity has been enhanced with Sobel Edge detection. After consideration of user feedback, Saturation and Brightness have been pumped up. 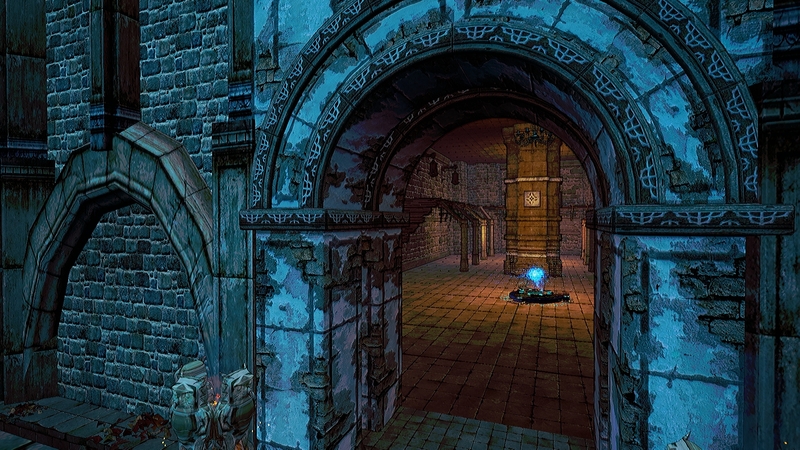 Reduced the resolution of certain lightmaps to optimize the performance of the texture streamer. Added 100 new hovercraft decals. Added 2 new body kits for Diphylla. Added 2 new body kits for Myotis. Default Bumpers for all available hovercrafts have been added. Added SFX for several abilities (Still A work in Progress). General Hovercraft Customization (Paints, Body Kits, Decals, Bumpers). Melee Attack - Pressing the Right Mouse Click has been changed from aiming down the sight, to the newly added mechanic of Melee Attack. Added switch between input bindings functionality. Changed the particles of several abilities. Changed the Level Progression System (UI feedback integration, is still a work in progress). 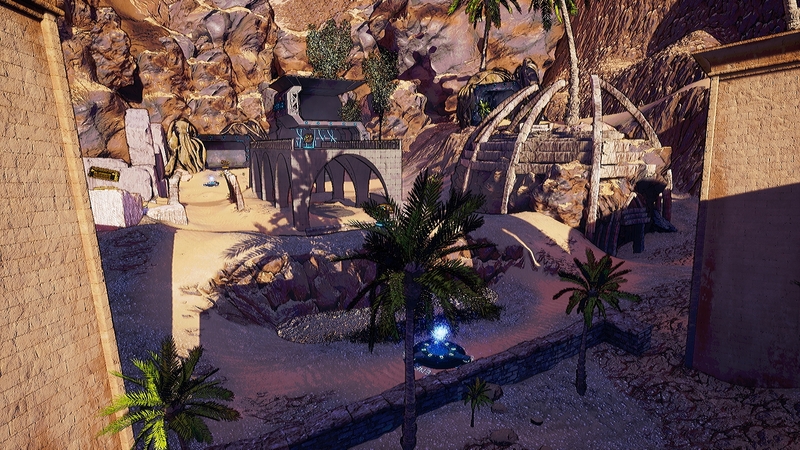 Various visual enhancements on Aquila Plains Map. Diphylla was causing the screen to flash when the camera mode was unlocked. CC abilities such as Stun and Confusion where conflicting each other and couldn't be activated at the same time. Steam Achievements should now be completely functional. Lobby Screen now shows the selected hovercraft name inside the Player Information Row. Added UI SFX to enhance the general feedback upon pressing and hovering buttons inside the Main Menu Screens (Still A work in Progress). Added Melee cooldown indication on HUD.